Apple is poised to create an entirely new ecosystem in health care with a value that could be three times greater than the global smartphone market, according to a Morgan Stanley report. Apple devices and a growing number of App Store apps are in the early stages of what the 14 analysts predict will be a digital disruption to the health care industry worth as much as $313 billion by 2027. Already, several Apple Watch wearers say they been alerted to potentially life-threatening heart ailments of the built-in ECG. 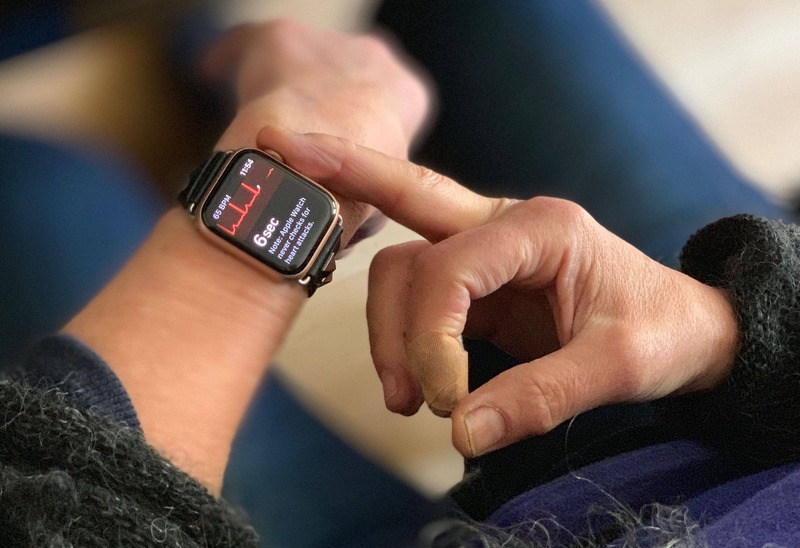 Other wearers say nutrition and fitness apps have to lead to better health and a future version of the watch is expected to include blood pressure and glucose monitoring. “Apple’s largest contribution to mankind will be improving people’s health and well-being,” CEO Tim Cook said in a TIME interview earlier this year. The analysts see Apple’s initiatives in health care as potentially reducing costs. Health insurance companies are offering clients reimbursements on watches in exchange for reaching fitness goals. Apple’s 2018 revenue was more than $265 million with the iPhone, with about 60 percent, according to Bloomberg, from iPhone sales.